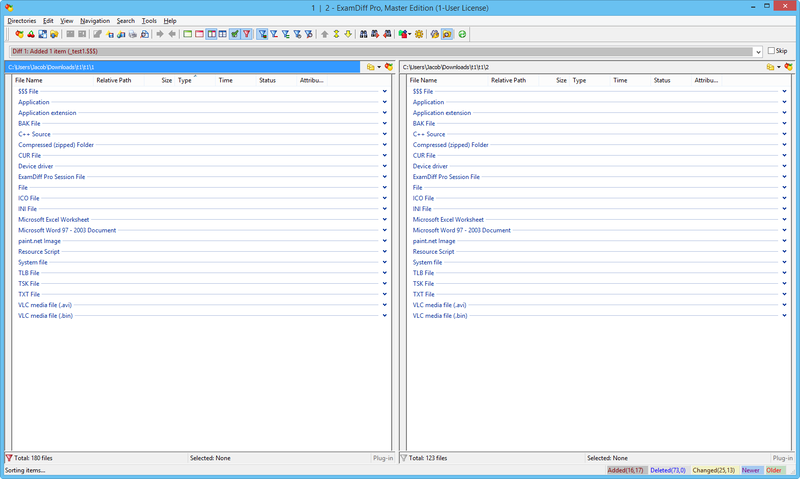 The next version of ExamDiff Pro will feature listview grouping, which gives users the ability to group similar files in directory comparison by relative path, type, and status. 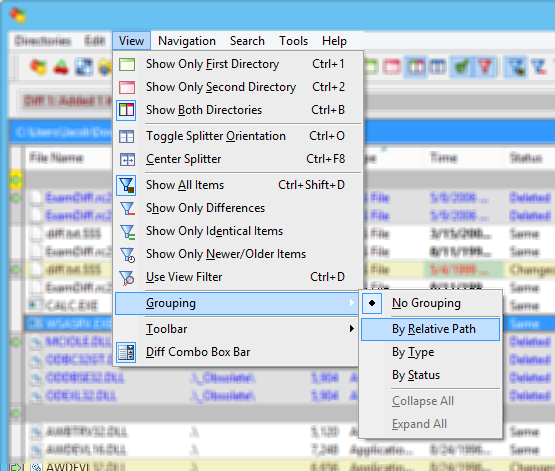 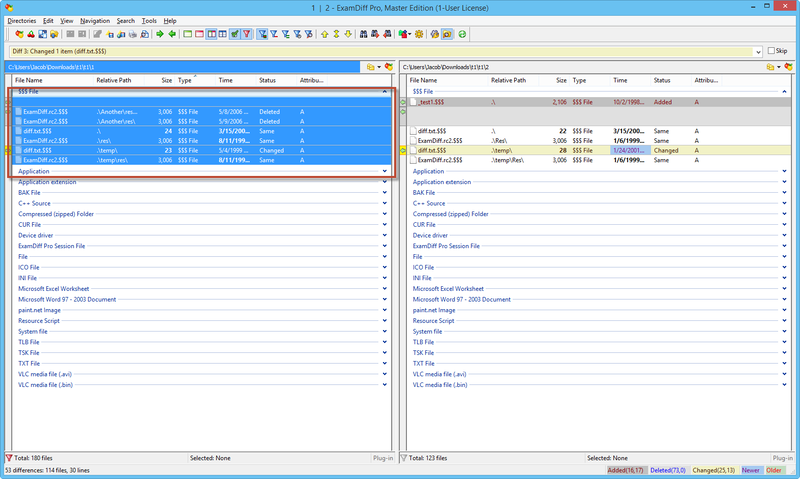 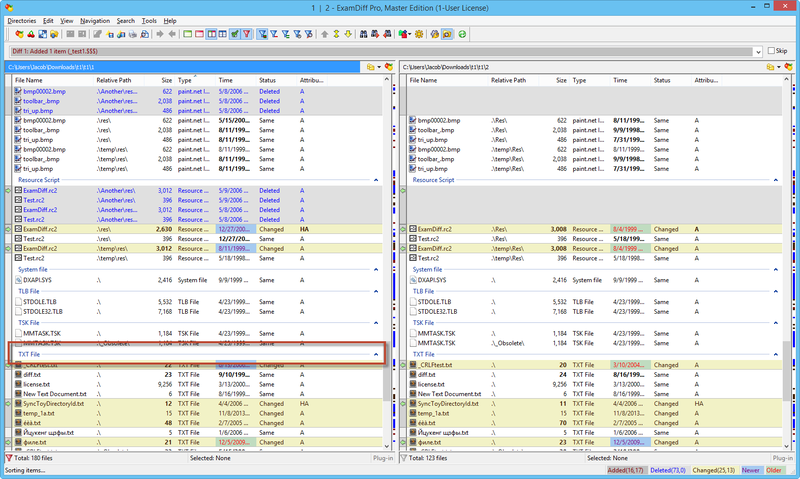 When sorting by column with listview grouping enabled, the files will be sorted within each group, unless the sorting is the same as the grouping type. 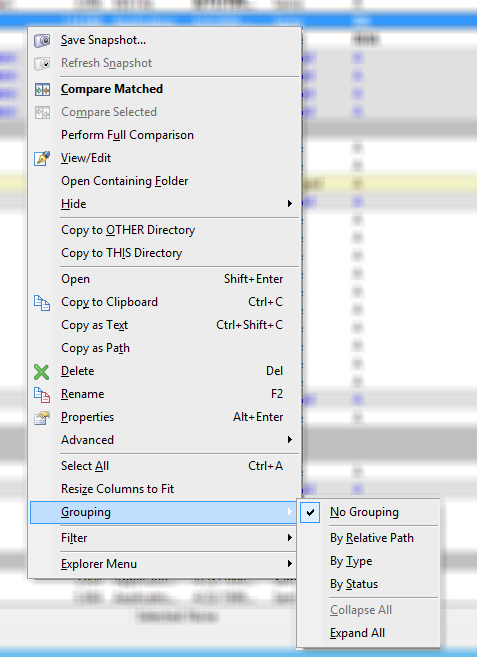 For example, if listview grouping is enabled with grouping by type and the Type column is sorted top to bottom, then the groups themselves will be sorted alphabetically from A to Z.